Orlando’s weather varies throughout the year, but with lots of sunshine and typically mild winters, Orlando is a fantastic destination all year round. The peak season summer months are the hottest and also the wettest, whilst the winters are mild with little rainfall. Orlando’s weather remains pleasant enough during the winter when the theme parks are at their quietest, which is an attractive option for visitors without kids that are often more flexible with travel dates. With cheap flights to Orlando available throughout the year, Orlando is a popular destination even in low season. 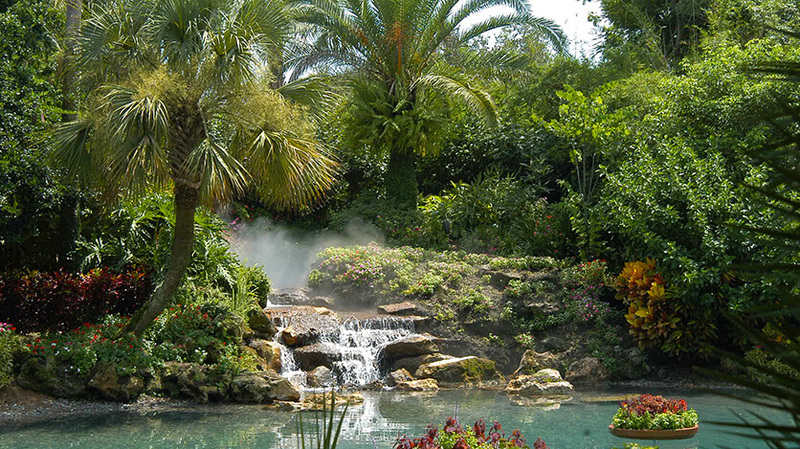 The weather in Orlando is hot and often humid during the summer months. Between May and September, temperatures of around 32°C are common during the day; at night, temperatures rarely drop below the mid-20s. Whilst it may be the hottest time of year, it’s also the wettest, with afternoon downpours common throughout the summer. Orlando’s theme parks provide plastic ponchos at this time of year to keep visitors as dry as possible. -	Pack plastic bags inside backpacks to wrap wet clothes in. -	Arrive early to avoid the biggest crowds – and the potential afternoon downpours! Orlando is very pleasant during October and November. With temperatures usually between 14 - 25°C, there is actually less rainfall than in summer and the big summer crowds have gone, meaning shorter queue times. The Orlando theme parks hold lots of special events in the lead-up to Halloween, which is even more popular in the US than the UK. -	If you’re looking to miss the crowds, avoid Columbus Day (first Monday in October) and Veteran’s Day (November 11th), which are US public holidays. Orlando’s winters are far milder than the UK and temperatures rarely drop below 10°C. There is actually less rainfall in winter than in summer, so it’s still possible to enjoy Orlando’s various outdoor attractions. Orlando’s theme parks remain open all year round, but some such as Legoland Florida will be closed on certain days in this off-peak season. The Disney parks remain open even over Christmas, apart from Disney’s Blizzard Beach Water Park which is closed between December 22nd and March 15th. Orlando starts hotting up in March and April, and the crowds start arriving for Spring Break and Mardi Gras at Universal Studios Florida. Spring temperatures in Orlando range from 12°C up to around 25°C. The water rides start getting more popular again, with the weather more conducive to drying off afterwards than it is in winter. -	The dates of Spring Break depend on the college but normally fall during mid-March. Whether you want to embrace or avoid the party atmosphere is up to you!